CGPSC Answer Key 2019: State Service Pre Exam Answer Key 2019 is available now for State Service Pre Exam 2018. The exam was organized by Chhattisgarh Public Service Commission, Raipur . CGPSC State Service Pre Exam Answer Key 2019: Chhattisgarh Public Service Commission, Raipur has issued the Answer Key on 09 Apr 2019 for State Service Pre Exam 2018. Answer Key can be accessed from the link given below. CGPSC Assistant Director Jansampark Answer Key 2019: Chhattisgarh Public Service Commission, Raipur has issued the Answer Key on 26 Mar 2019 for CGPSC Assistant Director Jansampark Exam 2019. Answer Key can be accessed from the link given below. 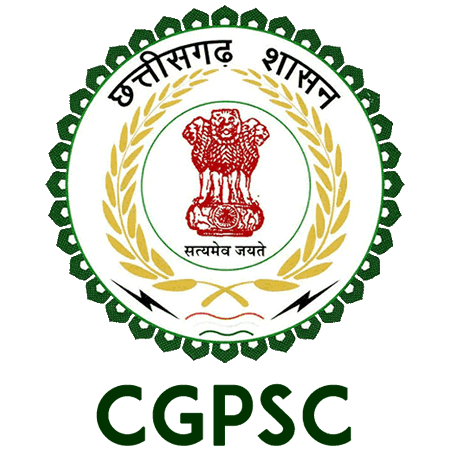 CGPSC PCS Pre Answer Key 2019: Chhattisgarh Public Service Commission, Raipur has issued the Answer Key on 01 Mar 2019 for CGPSC PCS Pre Exam 2019. Answer Key can be accessed from the link given below. CGPSC State Forest Answer Key 2019: Chhattisgarh Public Service Commission, Raipur has issued the Answer Key on 30 Jan 2019 for CGPSC State Forest Exam 2019. Answer Key can be accessed from the link given below. CGPSC Scientific Officer Answer Key 2018 (Amended): Chhattisgarh Public Service Commission, Raipur has issued the Answer Key on 06 Dec 2018 for CGPSC Scientific Officer Exam 2018 (Amended). Answer Key can be accessed from the link given below. CGPSC State Engineering Service Answer Key 2018 (Amended): Chhattisgarh Public Service Commission, Raipur has issued the Answer Key on 05 Dec 2018 for CGPSC State Engineering Service Exam 2018 (Amended). Answer Key can be accessed from the link given below. CGPSC Astt. Geologist and Mining Inspector Answer Key 2018: Chhattisgarh Public Service Commission, Raipur has issued the Answer Key on 27 Nov 2018 for Astt. Geologist and Mining Inspector Exam 2018. Answer Key can be accessed from the link given below. CGPSC Scientific Officer Answer Key 2018: Chhattisgarh Public Service Commission, Raipur has issued the Answer Key on 27 Sep 2018 for the exam. Answer Key can be accessed from the link given below. CGPSC State Engineering Service (Re-Exam) Answer Key 2018: Chhattisgarh Public Service Commission, Raipur has issued the Answer Key on 24 Sep 2018 for the exam which was conducted on 24 Aug 2018. Answer Key can be accessed from the link given below. CGPSC State Forest Answer Key 2018: Chhattisgarh Public Service Commission, Raipur has issued the Answer Key on 11 Sep 2018 for State Forest Exam 2018 which was conducted on 25 Mar 2018. Answer Key can be accessed from the link given below. CGPSC Youth Welfare Officer Exam Answer Key 2018: Chhattisgarh Public Service Commission, Raipur has issued the Answer Key on 10 Aug 2018 for Youth Welfare Officer Exam 2018 which was conducted on 29 Jul 2018. Answer Key can be accessed from the link given below. CGPSC Various Posts of Sports and Youth Welfare Dept Exam Answer Key 2018: Chhattisgarh Public Service Commission, Raipur has issued the Answer Key on 10 Aug 2018 for Various Posts of Sports and Youth Welfare Dept Exam 2018 which was conducted on 29 Jul 2018. Answer Key can be accessed from the link given below. CGPSC CG Forest Service (Combined) Exam 2017 Answer Key 2018: CGPSC has issued the Answer Key on 04 Apr 2018 for the exam which was conducted on 25 Mar 2018. Answer Key can be accessed from the link given below. CGPSC PCS Pre Exam Answer Key 2018: CGPSC has issued the Answer Key on 24 Feb 2018 for the exam. Answer Key can be accessed from the link given below.